There are some industries in which tight workflow control is a necessity rather than a luxury. Biotech is one of those industries. Because pharmaceuticals and biotech so directly affect people’s lives and life quality, extensive checks and balances are built into the systems involved in bringing new products to market and ensuring those who require the products have them on time and in sufficient quantity. The right workflow tools can make or break a biotech enterprise, and these tools are as necessary for the departments supporting clinical research as they are for the departments in charge of testing and evaluating products. Workflow automation software in the biotech industry improves compliance with regulations, reduces error rates, and ensures maximum efficiency. Few industries must comply with as many governmental and professional regulations as biotech, and workflow tools designed to ensure and document compliance at every step are a critical necessity. Likewise, those responsible for the administrative responsibilities at biotech organizations must have their own checks and balances to ensure that regulation compliance never falls through the cracks. With workflow automation software in use across a biotech organization, more fail-safes are built into everyday processes so that falling out of compliance with regulations is far less likely to happen. And when it does happen, it can be recognized and corrected without delay. Accuracy is important in every business, but in biotech, this goes double. Making a mistake on tax withholding can result in a financial penalty from the Internal Revenue Service, but a mistake in a workflow involved in the development of a new drug can result in actual harm to people. Automated workflows can help improve accuracy significantly over processes that are based on paper and manual hand-offs. 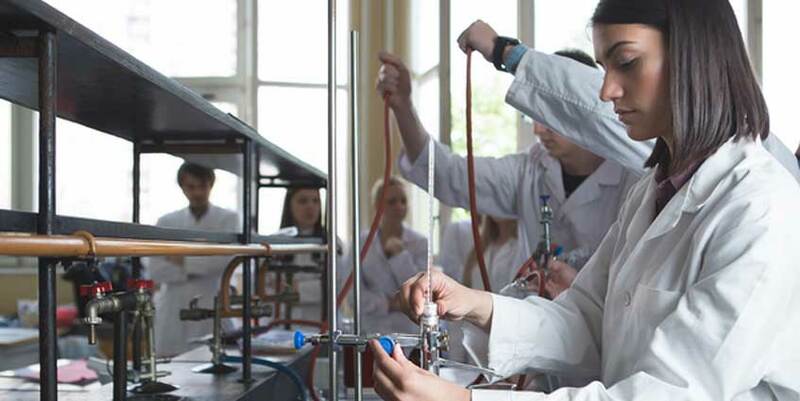 A protocol for an experiment that is handwritten in a notebook can be smudged or damaged, resulting in misunderstandings, but a protocol created with automated workflow software runs far fewer risks. Efficiency is a competitive differentiator in every industry. As in every industry, biotech depends on efficiency as a competitive differentiator. With all the expenses involved in bringing biotech products to market, maintaining process efficiency can mean the difference between thriving and going out of business. With workflow tools, everyone from lead scientists to building managers to those handle shipping and receiving can maximize efficiency and focus more attention and energy on the core business mission. 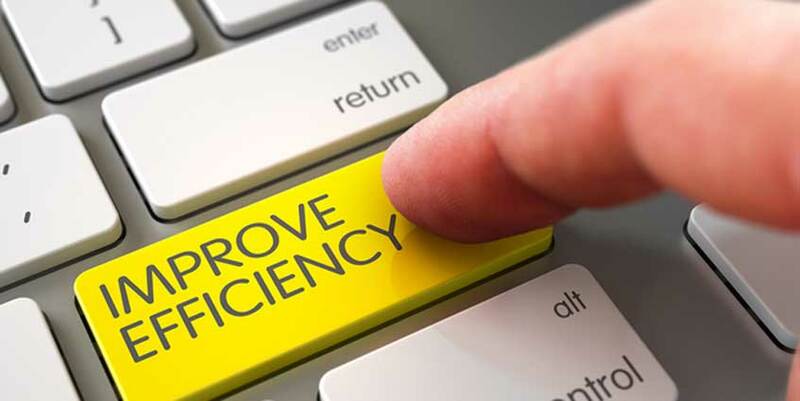 Workflow automation can do everything from making employee check-in at the parking garage faster, to setting up new employees in their workstations quicker, to providing instant notifications to HVAC personnel when tightly-controlled laboratory environments experience climate control issues. And when it comes to documenting regulation compliance, automated workflow software simply is a necessity. Steps can be documented and signed off on electronically, and retrieving this documentation is instant and accurate. Should a compliance audit happen, workflow automation software can reduce stress significantly by allowing compliance officers to quickly retrieve and report on information that demonstrates that all regulations have been complied with. PerfectForms is workflow management software that’s flexible enough to be used across all departments, and across all industries. An intuitive, drag-and-drop interface makes it easy to create electronic survey forms and workflows, with built-in checks and balances, automatic notifications of relevant parties, and documentation of compliance at every step. Your receptionist can issue visitor badges quickly and know exactly who received them. Administrative professionals can ensure that no signatures are missing from critical documents, and scientists can create workflows that ensure accuracy and efficiency. Best of all, you can try out PerfectForms for free! Whether you’re in biotech, beauty products, automotive technology, or agriculture, you’ll discover countless ways to make work processes faster, more accurate, more compliant, and far easier to document. This entry was posted on Wednesday, January 11th, 2017 at 12:19 pm	and is filed under Workflow Software. You can follow any responses to this entry through the RSS 2.0 feed.